There was a time when Window ACs were widely popular, but Split ACs have now acquired that space. Unlike Window ACs, Split ACs comprise of two units - an indoor unit for air and a compressor unit that is placed outside, thereby being quieter in operation. 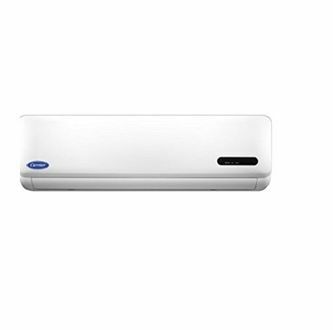 Split Air Conditioners also look premium in design, have a better air distribution and can be installed even in a room that has no wall facing outside. There are a bunch of leading companies in Air conditioners that include OGeneral, Daikin, Hitachi, Mitsubishi, Carrier, White Westinghouse and likes. Below is the price list of 44 Carrier 1.5-Ton Split ACs featuring water resistant IP-44 Fan Motor, Super Turbo mode, Carbon Fibre filter, and Auto cleanser. 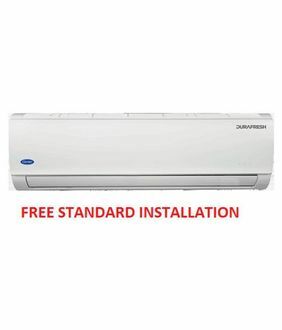 Find the AC that best suits your requirement from the price list that has been updated on 23rd April 2019. These should be suitable for most homes and small offices. The additional features that you these air conditioners offer are - Intelligent CRF Alert, Refrigerant leak detector, Auto restart, Rust safeguard, 24x7 Timer, Sleep mode, and NexGen dehumidifier. 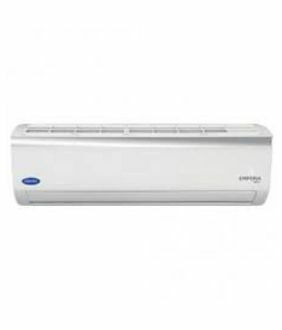 Carrier 1.5-ton Split air conditioners are available to buy online at the lowest price on shopping sites such as eBay, Amazon, Flipkart, Croma. 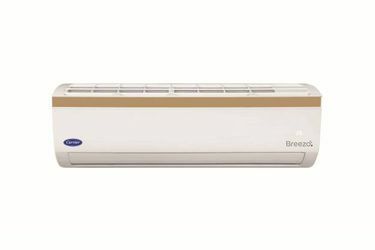 You can compare the price across the several online stores, view the specifications and reviews all at one place before you buy your AC. That said, a 1.5-Ton AC is most popular because of its good coverage and reduced power consumption. They come in 2-star, 3-star and 5-star but we suggest you look for an AC with a 3 or 5-star rating to cut down high electricity bills.